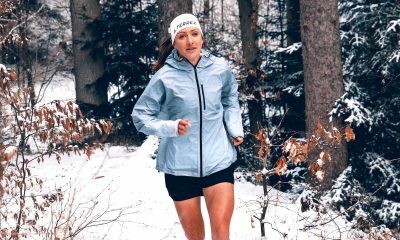 Meet mountain and trail runner Holly Page who will share her journey throughout 2019 on Fast Running. 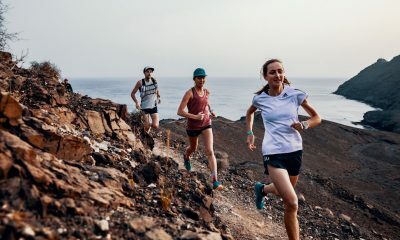 Holly Page is forever on an adventure and over the last 12 months has travelled the world competing on the mountains and trails – winning a ‘few races’ along the way too. Over the next 12 months, the 29 year-old plans to not take life too seriously and to enjoy travelling, exploring new places and meeting awesome people. 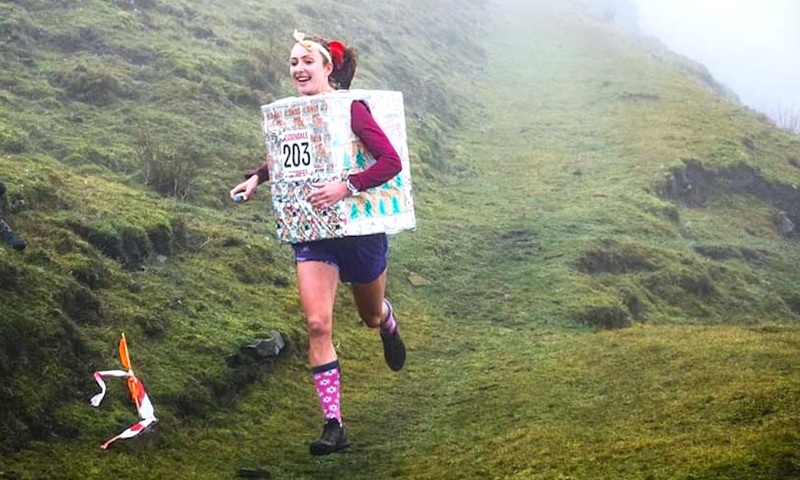 1) Winning a race dressed as a Christmas present at the end of December 2018. 2) Winning Skyrunning World Series 2018 and winning the Grand Final of Golden Trail Series 2018, breaking the record by 11 minutes. 3) Top 10 and first British runner at World Trail Champs 2018 – in a race which at 86km was 30km further than I’d ever run in my life. 4) Various national medals for cycling, rowing, and I won the U24 world duathlon a while back too. I speak four languages (handy when you’re a nomad). I hitch-hiked to six of my seven skyraces this year. In 2018 I didn’t have more than two weeks at a time in any one place – I lead a settled life! I also play the violin (occasionally). I’ve been racing since I was an U12 so it’s something I’ve always done. I love the community around running, the places it takes me, the people I am fortunate enough to meet, and it is great to make friends with those who share the same passion. Short fast reps (when I do them) or just having a long day out in the mountains in good weather. Being stuck cycling or running or stepping to nowhere in a gym. I’ll usually eat whatever there happens to be. It’s dangerous when a race puts me up in a nice hotel as I get rather distracted by the buffet breakfast and then spend the first hour of the race regretting my decision to try every type of cake on offer. Pretty much everything that happens to be in front of me. I am particularly inspired by all the fellrunners who invariably finish towards the back end of the field, but are always trying 100%, getting out there because they genuinely love the sport. I hope that will be me in 40 years time! I am joining the Adidas Terrex Team for 2019. I get my energy bar fix from Chia Charge, a great Yorkshire company. I get some hydration tabs from Nuun, Julbo send me sunglasses, and I’m lucky to have been given a Suunto watch which tracks my every move.